But with more and more hotels turning to vintage, antique, and one-of-a-kind furnishings to stay on trend with sustainability and providing more authentic and unique experiences, in-house hotel maintenance teams are feeling the pinch. They aren’t always equipped with the skill sets to handle those items—which is why having a furniture restoration company, and their expert craftspeople, on speed dial is absolutely clutch to keeping things running smoothly. For instance, look at the now-iconic and game-changing ACE hotel chain: founder and CEO Alex Calderwood famously furnished his entire Palm Springs location with mid-century furniture, turntables, lamps, and more decor that were all found at area thrift stores. Each of his hotels is also built into gut-renovated landmark locations where maintaining as much of the original architectural detail as possible is key to the concept. Unlike stocking each room of your hotel with the same model of the same couch from the same manufacturer who can replace them instantly, these quirky, unique, and historic elements also present quirky and unique challenges in the FF&E department and maintenance budget—challenges that most in-house hotel maintenance teams would gladly outsource to an expert restoration team. 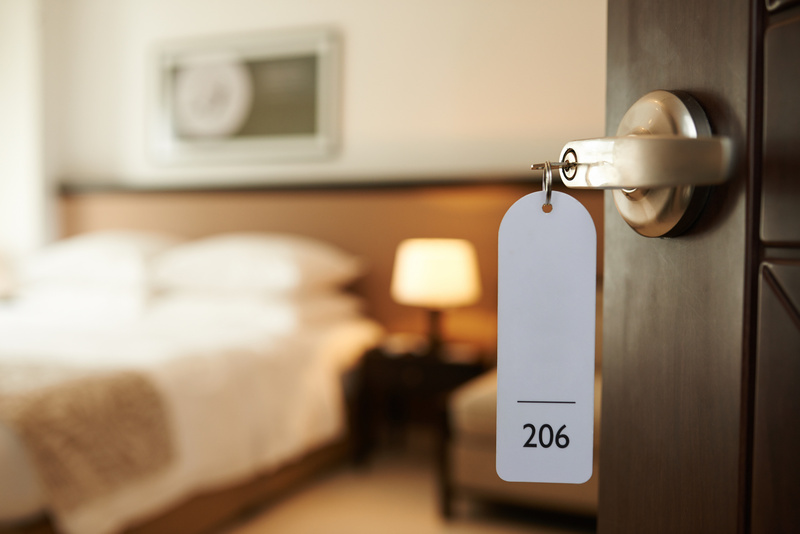 And budgeting for the predictive maintenance due to wear and tear on furniture and other hotel assets is big money: According to hotel industry magazine Lodging, FF&E costs averaged hotels $10,000 per room per year in 2017, with an average-sized hotel in the US occupying 115 rooms—or renting approximately 27,740 rooms annually. If just one-half of one percent of those rented rooms had to be taken out of availability because of missing or broken furniture, using 2017’s average room rate of $127 per night the hotel could lose $17,653. Another business to look to for advice and affirmation about why you should have a furniture restoration team on speed dial: ask any vintage furniture rental company who regularly services weddings or other events, just like any good hotel. The vintage furniture rental market is booming, but the early founders in the industry know that it’s not as simple as collecting and warehousing a bunch of beautifully tufted chesterfields and schoolhouse chairs and Turkish rugs and offering them up for rent. One Saturday night wedding rental could mean taking an entire vignette out of service: a watermark on your most frequently requested coffee table, a wine stain on your most popular rug, a broken arm on your most iconic photo booth chair. Planning ahead by having someone available to restore your “social media moment” inventory in a hurry will not only save you from losing your next booking—it could save your brand. Contact us today to speak to one of our furniture medics!